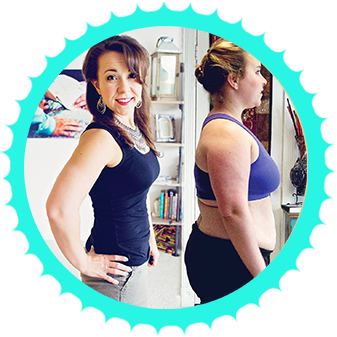 Skip all the purchased images of skinny models holding a measuring tape online and check out these real hCG Diet reviews of people who have successfully lost weight with this protocol. They share their struggles and how they overcame them - some have lost 100 lbs or more! Just their before and after pics are inspiring. This is my own hCG Diet weight loss story. I lost 50lbs and maintaining this for over 16 months now! I started at 172 lbs as a size 16/18. For the last year and a half I have been a size 2/4 and using Crossfit to get fit and strong. I lost 2/3rds of the fat on my body. No joke. These before and after hCG pics are true to life - no fake tan and no erasing of parts of me in photoshop. This is exactly what this diet achieved for me in real life. Buy hCG Injections or Drops Online! You may be leery about this being possible, but YES you can get a prescription AND real hCG online. I used this hCG personally for all my own weight loss. This page gives you four options for real hCG depending on your circumstances. While injections are my favorite method of delivery and what I used myself, there are also options for prescription drops and pellets for those who are needle shy. I’ve TRIED EVERYTHING ON THE PLANET.